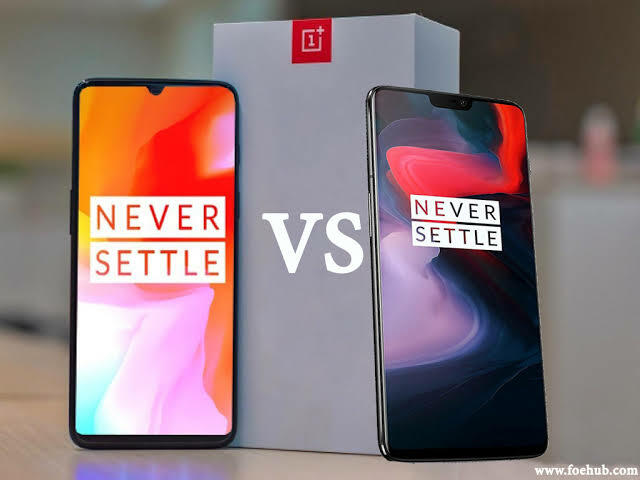 Home display features OnePlus 6 Oneplus 6T performance OnePlus 6T VS OnePlus 6 : Should You Upgrade? OnePlus 6T VS OnePlus 6 : Should You Upgrade? The software on both phones is identical. There are no major differences between the two phones. They are almost identical. The performance is also the same. In summary we can call OnePlus 6T the improved OnePlus 6. When you check the hardware nothing much has changed. The phone has a dewdrop notch design for the camera and has also included an in display fingerprint sensor. It has a 3700mAh battery capacity but there is no room for a headphone jack. If you have OnePlus 6 you can hold onto it for a while. It is still one of the best devices out here. There is nothing great about OnePlus 6T. If you want wired audio then you are better off with OnePlus 6. Every year OnePlus has been releasing two flagship phones for the last two years. When they release the second device they are just trying to make some minor improvements here and there. That is what has happened with OnePlus 6. There are very little changes when it comes to the hardware. Let's see if you should upgrade to OnePlus 6T. Should you upgrade from the OnePlus 6 to the OnePlus 6T? 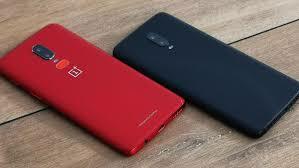 When it comes to releasing new models OnePlus doesn't change a lot of hardware elements or the design of the phones. The specs one OnePlus 6T and those on OnePlus are just the same. The main difference between these two phones is that OnePlus 6T has a dewdrop design cutout at the top and now it has an in display fingerprint scanner. OnePlus 6T has a bigger screen display of 6.41 inches while OnePlus 6 has a display screen of 6.28 inches. OnePlus 6T is 0.6mm narrower than OnePlus 6. OnePlus 6T is heavier than OnePlus. The larger battery capacity of 3700mAh makes it heavier. The notch at the top is easily ignorable and it is not annoying. The in display fingerprint sensor is a cool way to unlock your phone. It is not the most reliable way of unlocking your device. There is an optical in display module with takes a second to unlock. It is quite annoying when the phone is placed flat on a table. At times the sensor may fail to recognize you fingerprint on several occasions. If you want to upgrade because of the in display sensor then its better if you just wait. The tech used is amazing but how it was implemented is the issue. The face unlock feature on OnePlus 6T is just as accurate as that on OnePlus 6. Face unlock feature is among the fastest way to unlock your phone on Android today. When it comes to the processor both phones are powered by Qualcomm Snapdragon 845 which has 8GB or 6GB of RAM. They both have Bluetooth 5.0, AptX HD and dual cameras. On OnePlus 6T you will get an internal memory of 128GB. Both OnePlus 6T and OnePlus 6 have a Gorilla Glass 6 at the back and at the front. It gives this phone the protection that it needs. But it's still advisable to buy a protective case for more durability. There have been a trend of manufacturers not including a headphone jack on their devices. OnePlus 6T has followed suite. Fans were puzzled with the lack of a 3.5mm headphone jack. Most manufacturers are moving away from wired audio. 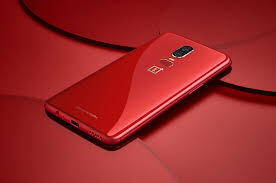 OnePlus has never disappointed when it comes to its performance. With the support of Snapdragon 845 you can be confident of the best performance on an Android device. There will be no slow downs when you regularly use this device. OnePlus is utilizing its huge RAM to the fullest. They have included a new feature called the 'smart boost' which caches data from those apps which are frequently used by the RAM. it helps in boosting the RAM. This feature was designed for games. It would help games such as PUBG to load faster. Smart boost is only available on OnePlus 6T but i believe it maybe available in other OnePlus devices soon. When it comes to the software department things are just the same. OnePlus didn't make major changes. OnePlus 6 picked up the Android Pie 9.0 and OnePlus 6T is also running on Android 9.0. They are both having the latest software. They also have their own operating system called the OxygenOS. OxygenOS has one of the best third party software experience on an Android device. When it comes to the camera department there is no difference. OnePlus 6T and OnePlus 6 have the same camera. OnePlus 6T has a Nightscape mode that stacks numerous pics to produce a more clear image in a low lit area. OnePlus 6T has nothing new or cool that will make you want to upgrade. The in display tech is being perfected. It will take a while before it is accurate and on the same level as some other manufacturers. The traditional fingerprint sensor is still faster and much more accurate than the in display fingerprint sensor. OnePlus 6T and OnePlus 6 have the same hardware specs. OnePlus 6 is still a very capable phone in 2018. Users will always love it and it still has a 3.5mm headphone jack which is good for those who like wired audio. The in display fingerprint sensor is quite cool but it is not the best. It's not as fast and as accurate as the traditional fingerprint sensor. Uses everything on OnePlus 6 and makes some few minor adjustments and improvements. With OnePlus 6T you will get a notched phone and an in display sensor. This is the first phone from OnePlus with a notch design and an in display fingerprint sensor. The hardware is just the same as that on OnePlus 6. This phone is still among the best phones of 2018. It has been compared to the likes of IPhone X and Samsung Galaxy S9. This phone was launched just 5 months ago and is still among the best phones of 2018.